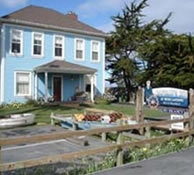 Stay, play and shop in Moss Landing! 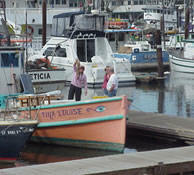 Custom designs for boating, home and gifts. Enjoy your visit and come back soon! 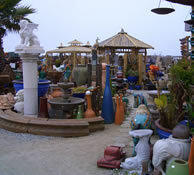 An amazing selection of imported pottery, ceramics and décor for the garden and home. Over 10,000 clay, ceramic and hand painted pots from which to choose! Open Wednesday – Saturday, 9:30am -5:30pm Sundays 10am – 5pm. Closed Mondays and Tuesdays. Call for hours and availability. Fresh fish, shrimp and live crab. 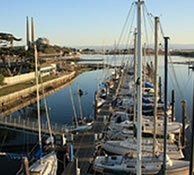 with a 75 ton travelift, hauling boats Monday - Friday from 8am to 4:30pm. Please email us or call 831.633.2417 to get on the Schedule! Boat covers, custom made products and repairs. Convenience store and groceries. Ice machine. Historic Moss Landing photos on display.